The 11th match of CSA T20 Challenge will take place between Knights and Cape Cobras at Newlands, Cape Town. 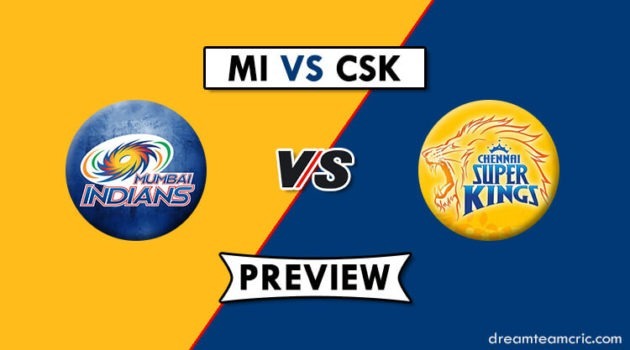 In this match, Cape Cobras team will play for improving their chances to qualify for the semifinals whereas Knights will be looking to finish their drought of winning a match. 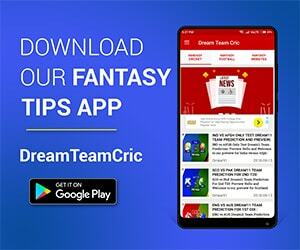 We are covering CC vs KTS Dream11 Team Prediction, Preview and Probable Playing XI for the T20 match. Knights are still searching for their 1st win of the tournament. Out of 4 matches, 2 match of Knights got abandoned due to rain whereas in other 2 they faced some close defeats. Now in this crucial encounter for their survival in this league, they need to buck up as a team to win it against Cape Cobras. Team has a serious problem of not performing in a group, their batting department is letting them down in every match. Batmen have got the start but they are not able to convert their start score into big ones. A Gous and Raynard van Tonder will have to play some sensible cricket for Knights, otherwise, there are fewer chances that they might survive this tournament. Shadley van Schalkwyk and Ryan McLaren have to lead the bowling attack from the front against the strong team of Cape Cobras, who can take the match away from them in few overs. Cape Cobras are on the top in the points table and are going strong in the tournament. They have got some positives from their last match as their star batsmen Hashim Amla looks to have his form back, who scored a valuable 32 runs in the top order. This is a red alert signal for the other teams. Amla is one of the top international players and everyone knows, if he gets going then nowhere any team is going to win the match from his side. Otherwise, the team looks quite balanced in bowling as well as batting department. There Captain Rory Kleinveldt is leading from the front and bowling at the best economy over which he can bowl, also he is taking wickets in the crucial moments of the match. This match looks more important from the perspective of Knights although it is important for Cape Cobras. The pitch will support the fast bowlers as well as the batsmen. With the start of the match, fast bowlers will get the advantage of swinging the ball but as the game resumes towards the 2n innings the batsmen will start dominating over the bowlers. Ryan Rickleton will open the innings for Knights. Jaaneman Malan and Hashim Amla will open the innings for Cape Cobras. Rory Kleinveldt will be crucial bowler for Cape Cobras. He has been the pick of the bowlers in CC. Kyle Verreynne is doing well with the bat in the lower batting order for the team. Squads are yet to be announced but it is expected that the same squads will play on the field. Cape Cobras : Janneman Malan, Hashim Amla, David Bedingham, Kyle Verreynne(w), Aviwe Mgijima, George Linde, Vernon Philander, Rory Kleinveldt(c), Nkululeko Serame, Dane Paterson, Tladi Bokako, Dane Piedt, Ferisco Adams, Dayyaan Galiem, Zubayr Hamza, Simon Khomari, Pieter Malan, Mthiwekhaya Nabe, Jason Smith, Lizaad Williams, Akhona Mnyaka. Knights : Patrick Kruger, Andries Gous(w), Raynard van Tonder, Petrus van Biljon(c), Grant Mokoena, Ryan McLaren, Gerald Coetzee, Shadley van Schalkwyk, Eddie Leie, Tshepo Ntuli, Ottniel Baartman, Mbulelo Budaza, Corne Dry, Luthando Mnyanda, Keegan Petersen, Zakhele Qwabe, Rudi Second, Aubrey Swanepoel, Thandolwethu Mnyaka. Knights – Patrick Kruger, Andries Gous (wk), Raynard van Tonder, Petrus van Biljon (c), Grant Mokoena, Ryan McLaren, Gerald Coetzee, Shadley van Schalkwyk, Eddie Leie, Ottniel Baartman, Tshepo Ntuli. McLaren and Schalkwyk are among the best bowlers in the tournament. Hashim Amla played a good knock in the last game and he looking ever so close to his normal best. Malan has already scored a century for Cape Cobras and is batting well in the top order, it looks like he will carry his good form throughout the tournament for his team.